Choosing the right SIP trunking provider for your business can be a challenge, especially if you don't have a technical background in cloud communications. Over the past decade, Voice-over-IP (VoIP) telephony has exploded in popularity, which has lead to a surge of organizations offering SIP services for business. Sorting the best providers out from organizations with poor quality support or quality of service is critical. Modern IT decision makers focus on a number of factors when selecting a provider, including security, quality of customer support offered, pricing, and scalability. However, just because a vendor offers SIP and the right pricing doesn't mean they're the best fit for your organization. Based on current communications regulations, any company with a minimum of technology assets and basic regulatory approval can advertise VoIP or SIP services. This regulatory climate has resulted in a wide array of customer experiences, from the glowingly-positive to the not-so-great. Join us as we review factors to consider for first-time SIP trunking users to ensure you have a positive experience with VoIP telephony. 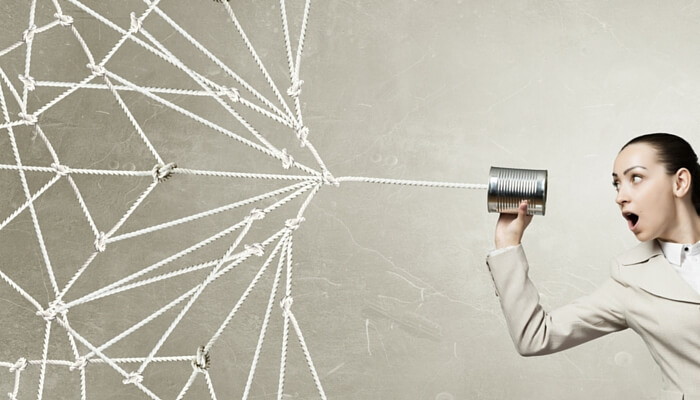 What Does a SIP Trunking Service Provider Do, Anyway? A SIP Trunking provider enables your organization to use VoIP to connect a private branch exchange (PBX) and the Public Switched Telephone Network (PSTN). Depending on your organization's preferences and needs, you may choose to host your PBX on-premises, or outsource the hosting to your SIP trunking provider. Regardless of your specific technology needs or preferences, SIP trunking plays a crucial role in your organization's ability to communicate internally and externally using VoIP technology. SIP and other VoIP acronyms can get pretty confusing. For a more in-depth overview of how SIP fits into the VoIP ecosystem, we recommend SIP Trunking vs. Hosted PBX: What's the Difference? What's the Difference Between a Bad, Good, and Great SIP Provider? Your SIP trunking provider's service can fail for a number of reasons, all of which can leave you without a connection to your customers. If you were to select a cut-rate service provider, your phones could go down due to hardware failure, data center failure, or other issues. In practice, a vendor with an appropriate level of SIP reliability has the infrastructure necessary to restore service with minimal interruptions. This can come from internal investments like redundant hardware, internet connectivity, and multiple locations that all translate into uptime of 99.999% or better for their clients. Are service level agreements (SLAs) strictly necessary? No, they're not, at least not in the most technical sense. However, they're an invaluable promise from a SIP trunking vendor to their customers that they'll deliver on the claims they made during the sales process. Best-of-class vendors promise 99.999% uptime guarantees in their SLAs, which reflects that they've structured their business to serve their customers' needs. In addition, with quality vendors, SLAs are a standard part of business contracts with newly-signed clients. For some SIP providers, redundancy and related features are considered an add-on service. That can be a huge red flag that you're dealing with a cut-rate organization. No business should ever have to face higher charges for access to reliable phone services. It's also natural to expect that, post-implementation, you'll have some questions. You may have questions during business hours, or you may need to speak to a technical representative at 6pm on a Saturday. Let us reiterate - that's perfectly normal. Business communications are a 24/7 business, which is why 24/7/365 support simply isn't optional. To learn more about how Atlantech Online invests in the SIP client experience, we recommend What Does Fantastic Support Mean for Atlantech Customers? Some low-quality SIP trunking providers force customers to sign long-term contracts that "lock" them into paying for a certain number of users, with financial penalties for adjusting the service agreement. This can cause your business to incur excessive charges. At many companies, seasonal fluctuations in headcount are natural, due to variation in customer demands and industry factors. Other organizations force customers to purchase a specific amount of bandwidth or do not disclose hidden charges for services. If a prospective SIP trunking provider does not support your growth plans and needs without unreasonable financial penalties, they're probably not the right fit for your company. Fifty-three percent of IT decision makers have chosen to consolidate their voice, Internet, data, and other services. 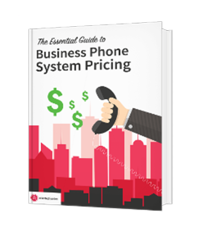 This concept is referred to as "unified business communications" and can carry the distinct benefits of cost savings and faster troubleshooting. Even if your organization does not plan to outsource any services aside from SIP trunking in the near future, selecting a provider that offers complimentary business services can offer the potential for scalability. If you decide fiber-optic internet connectivity could benefit your organization in the future, you would have built-in potential for bundling with a provider you already trust. Any technology-based system carries security risks. The information security threat vector is both complex and quickly evolving, which means that organizations and vendors must be vigilant against cybercrime. Software Advice has found that security is the top priority for modern SIP shoppers. The best SIP trunking providers work actively to reduce their clients' risks of business continuity issues, eavesdropping, and other security-based problems that can arise from internet-based IP telephony that is not adequately protected. Best-of-class SIP vendors have heavily invested in security technologies to prevent denial of service (DOS) and spamming attacks, which allow 24/7 monitoring and real-time remediation in case your organization is ever targeted. By working actively to measure and improve technical quality metrics, leading SIP providers offer exceptional call quality to their customers. It's crucial to ensure that a potential VoIP provider has the knowledge and infrastructure necessary to provide sufficient QoS. If you will be using a legacy PBX system, it's critical to verify that a prospective SIP trunking provider offers compatibility. Using "mixed equipment", or technical solutions from multiple vendors, for your PBX and gateway can cause risks of compatibility issues. Not all SIP trunking providers are created equal. Vendor options can range from best-of-class providers with experts on staff to cut-rate organizations who offer questionable reliability and support. To ensure your organization has a positive experience with your VoIP implementation, selecting a SIP provider who meets all of the criteria for greatness is critical. Atlantech Online is a leading provider of affordable, high-quality, and expert-driven business-class voice implementations for organizations of all sizes nationwide. To learn more about our unique service offerings, click here.